I’ll tell you right now, for someone who likes to write, and read articles online, I am NOT a book reader. 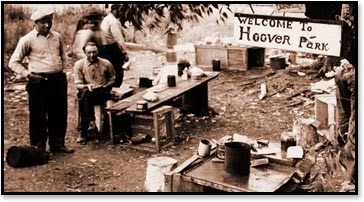 I never have been. Strange, right? To that point, I spent quite some time ensuring Survivehive is printer-friendly. Survivehive automatically hides certain parts of the page when you select print, so that only the important part is printed. I highly recommend printing any articles you see and like for offline use! If the power goes out, or your Internet connection is lost for an extended period, you’ll still have access to the information as presented! I got off on a bit of a tangent there, and normally, I would edit that, but I feel like it’s an important point to be made: If you’re reading this, you read articles online, but you should NOT discount the value of hard-copy books, even if you are like me and rarely read them. I have a short attention span, project here, project there, I really didn’t see myself being able to stick to a 52-week course. I figured I’m not the only one either. Learn to stock, treat, use and reuse the most important survival item of all – water. Store enough food to feed your family for three months without breaking the bank. 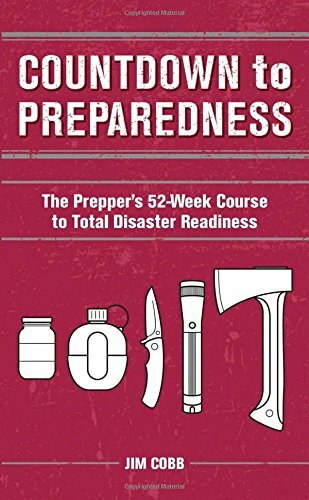 Develop the emergency skills to respond effectively to any catastrophic event. Fortify and protect your home with affordable and manageable DIY projects. 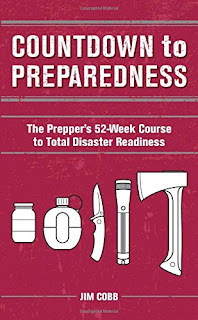 Create a prepper savings account to ensure your family’s well-being. Plate Tectonic Movement, Earthquake Uptick and Earth Changes were the Subject of the Day on Situational Preparedness on Monday. Nancy Lieder (zetatalk.com) joins us for a Monthly Update of Earth Changes. - N America has a flat top, and cannot roll, thus is pulled in a diagonal manner. This results in what is termed the New Madrid adjustments. This is in America’s near future, based on all the quake swarms in Oklahoma and Connecticut, and booms along the Seaway. - The New Madrid adjustment, pending, will devastate the N American continent, up along the Mississippi, under the Seaway, and perhaps with some sympathetic quaking along the Eastern seaboard. - Bridges on the Mississippi will rip, during this diagonal pull, as shown by the snap of the I-35 bridge in Minnesota, at the headwaters of the Mississippi. - A security cam showed the bridge pulled 50 feet to the east, causing the snap.http://www.cnn.com/2007/US/08/03/bridge.structure/ Investigators trying to figure out what caused Wednesday's massive bridge collapse are focusing on the southern end of the span. The NTSB says one part of the bridge shifted 50 feet as it fell, while other sections collapsed in place. What's getting investigators' attention is the way the southern part of the bridge fell in a video they've already examined -- recorded by a security camera near the bridge's north end -- and the way the section settled after the collapse. It appears that it has shifted approximately 50 feet to the east and when we compare that to what we've seen in the rest of the bridge -- the rest of the bridge appears to have collapsed in place. - Wisconsin is likewise being pulled apart, ala the booms from Clintonville through to Baraboo. An underground electrical fire on Tupper Street caused a series of explosions Sunday afternoon. 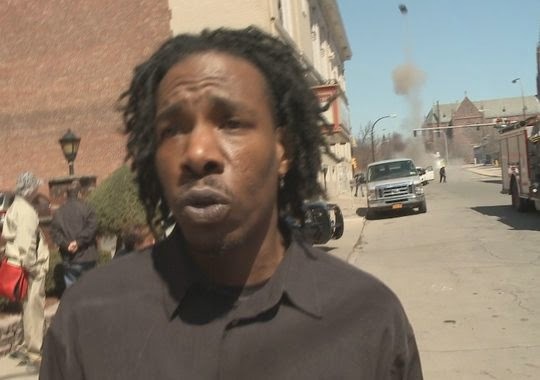 BUFFALO, NY – National Grid Corp. hopes to learn within a few days what sparked a fire involving some underground electrical cables, which resulted in an explosion that sent a manhole cover soaring several stories in the air in downtown Buffalo on Sunday. "They pulled all the bad cable out and it will be sent off to a lab for testing and examination," said National Grid Spokesperson Steve Brady. "However, sometimes it is burned up so badly that they are not able to completely tell. But it's going to take at least a couple of days to determine before we have an answer." Common causes generally include aged cables, excessive salt and water from a harsh winter, which can get in and deteriorate them, or even rats chewing on them, according to National Grid. According to Brady, it is common for there to be a rapid buildup of heat and gas during a fire in an underground conduit, which is after all a confined space. On somewhat rare occasions, there can be an explosion with enough force to move a heavy manhole cover. Extremely rare, he says, is when a cover is sent rocketing into the air.
."In most cases what will happen when a cover comes off is it will essentially pop but maybe move a couple of inches or a couple of feet….the one we witnessed (Sunday) is, fortunately, exceedingly rare." 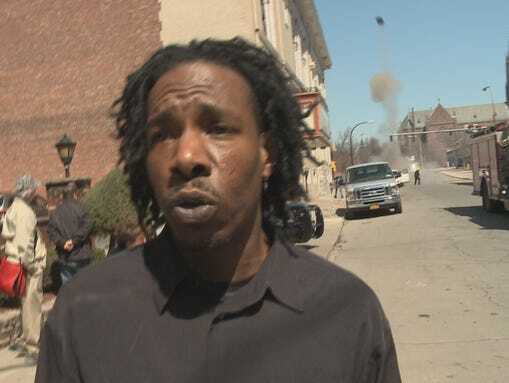 WGRZ - Channel 2, Buffalo Photojournalist Dave Harrington captured the loud explosion and rocketing manhole cover on video. A Brand New #SitPrep Podcast Tonight!!! Nancy Lieder will be our guest for the hour to discuss How to better Prepare your Group. *THE TSUNAMI THREAT HAS NOW LARGELY PASSED. 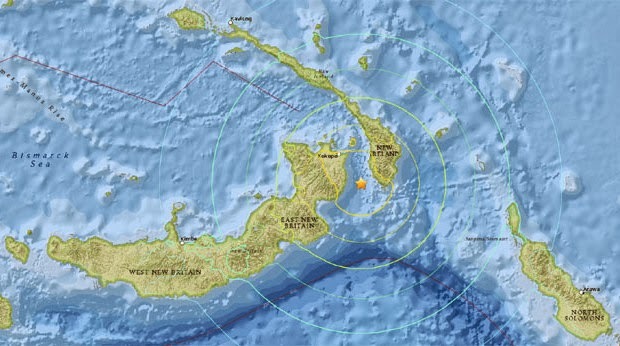 The U.S. Geological Survey says a magnitude 7.7 #earthquake has struck in Papua New Guinea. The earthquake prompted a #tsunami warning.The USGS says the quake’s epicenter was located 33 miles (54 kilometers) southeast of Kokopo, Papua New Guinea and was at a depth of 65 kilometers. The quake hit at 3:48 p.m. PST Sunday.A tsunami alert was issued for coastal areas within 1,000 kilometers of the quake’s epicenter. There was no threat for the California coast.A tsunami alert was issued for coastal areas within 1,000 kilometers of the quake’s epicenter. There was no threat for the California coast.The USGS says the quake’s epicenter was located 33 miles (54 kilometers) southeast of Kokopo, Papua New Guinea and was at a depth of 65 kilometers. The quake hit at 3:48 p.m. PST Sunday.A tsunami alert was issued for coastal areas within 1,000 kilometers of the quake’s epicenter. There was no threat for the California coast.A tsunami alert was issued for coastal areas within 1,000 kilometers of the quake’s epicenter. There was no threat for the California coast. The March 29, 2015 M 7.5 earthquake southeast of Kokopo, Papua New Guinea, occurred as the result of thrust faulting on or near the plate boundary interface between the subducting Australia and overriding Pacific plates. At the location of the earthquake, the Australia plate moves towards the east-northeast at a velocity of 105 mm/yr with respect to the Pacific plate, and begins its subduction into the mantle beneath New Britain and New Ireland at the New Britain Trench south of the earthquake. The moment tensor and depth of the event are consistent with thrust-type motion on the interface between these two plates. Note that at the location of the earthquake, some researchers divide the edges of the Australia and Pacific plates into several microplates that take up the overall convergence between Australia and the Pacific, including the Solomon Sea and South Bismark microplates local to this event. The Solomon Sea plate moves slightly faster and more northeasterly with respect to the Pacific plate than does Australia due to sea-floor spreading in the Woodlark Basin several hundred kilometers to the south of the March 29 earthquake, facilitating the classic subduction evident beneath New Britain and New Ireland. The plate boundary between the Australia and Pacific plates in the Papua New Guinea region is very active seismically; 36 M 7+ events have occurred within 250 km of the March 29, 2015 earthquake over the past century. Few are known to have caused shaking-related fatalities because of the remoteness of the region, though a M 8.0 earthquake in November 2000 – one of three similarly sized events over a 2-day period – did cause several deaths. The largest nearby earthquake was an M 8.1 event, 70 km to the east of the March 29, 2015 earthquake, one of two M8+ earthquakes 140 km apart in July 1971. The operator of the #Fukushima Daiichi nuclear power plant says it has detected high levels of radioactive substances in a drainage channel on the plant's premises on Sunday. The Tokyo Electric Power Company is investigating the cause. 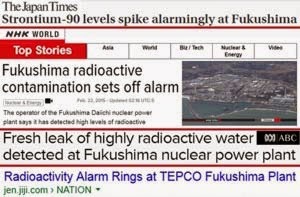 TEPCO says the plant's alarm system went off around 10 AM. It showed a rise in radioactivity in the channel that leads to a nearby port. The drainage channel used to be connected to a section of coast beyond the port. #TEPCO rerouted it after a series of leaks in 2013. 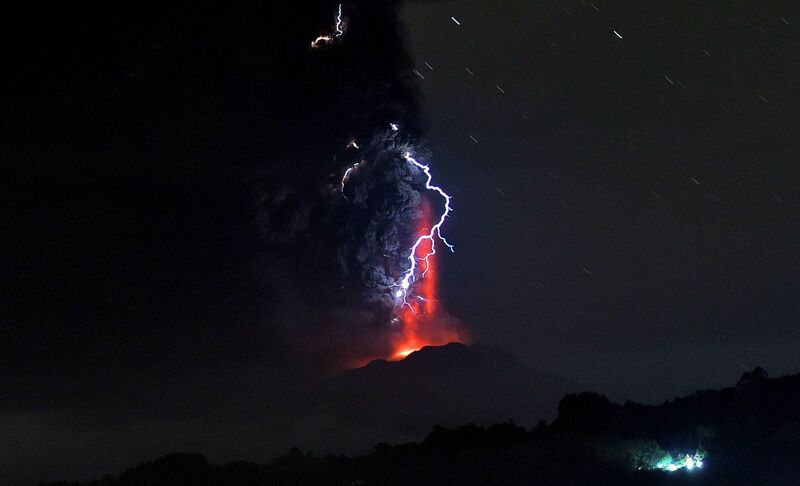 When we will see a significant eruption in the Inter Mountain West? The swarm is beneath an uninhabited part of the Nevada desert near the Sheldon National Wildlife Refuge, but officials are telling the public, especially the almost 2,300 residents of Lakeview, to develop earthquake plans if they haven't already. A swarm of hundreds of earthquakes that has been striking a corner of the Nevada desert near the Oregon border for months has intensified in recent days, prompting new warnings from seismologists. About 750 earthquakes, mostly magnitude 2.0 to 3.0, have struck the area about 50 miles southeast of Lakeview, Ore., since the swarm started in July, said Ian Madin, chief scientist for Oregon's Department of Geology and Mineral Industries. The temblors have been growing steadily stronger with time. Six earthquakes of magnitude 4.0 or greater have struck the area since Tuesday and about 40 have struck in the last 24 hours, Madin said. "This week it has just gone crazy," Madin said. "If you are not ready for an earthquake, now is an awfully good time to get ready for an earthquake," said Alison Ryan, a spokeswoman for the department. 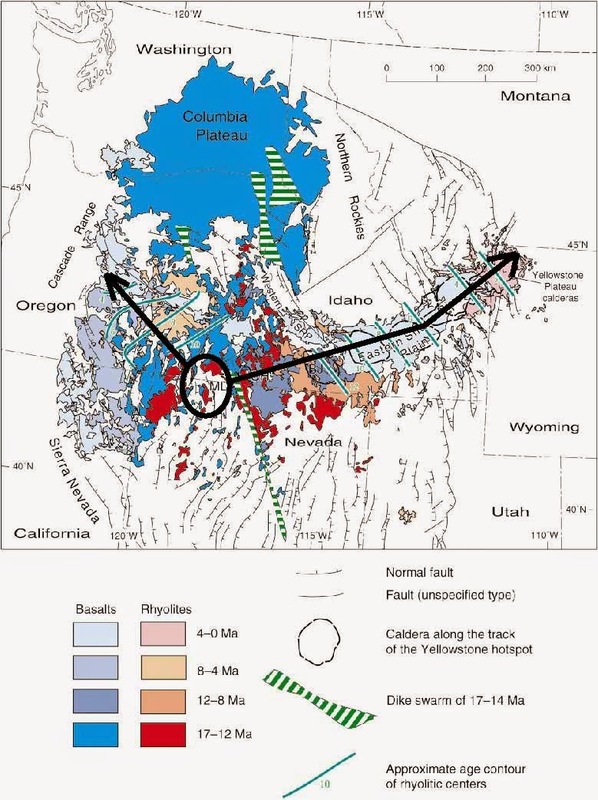 Scientists believe groundwater is slowly percolating along the faults and building up pressure, making movement on the faults much easier, said John Vidale, director of the Pacific Northwest Seismic Network at the University of Washington. "It doesn't necessarily mean anything big is coming, but it does raise the risk there will be a bigger quake in the future," he said. "Ninety-nine percent of the time nothing too dramatic happens, but every now and then there is a good pop and everyone asks why we didn't predict it." The map above shows the trail the calderas as the continent has moved over the hot spot.